Situational awareness: "Bulk of families separated at U.S.-Mexico border remain apart," per Reuters. "[G]overnment lawyers reported ... that 364 of some 2,500 families with children aged 5 and older have been brought back together." Breaking: "BRANSON, Mo. (AP) — At least 11 people, including children, died after a boat carrying tourists on a Missouri lake capsized and sank." 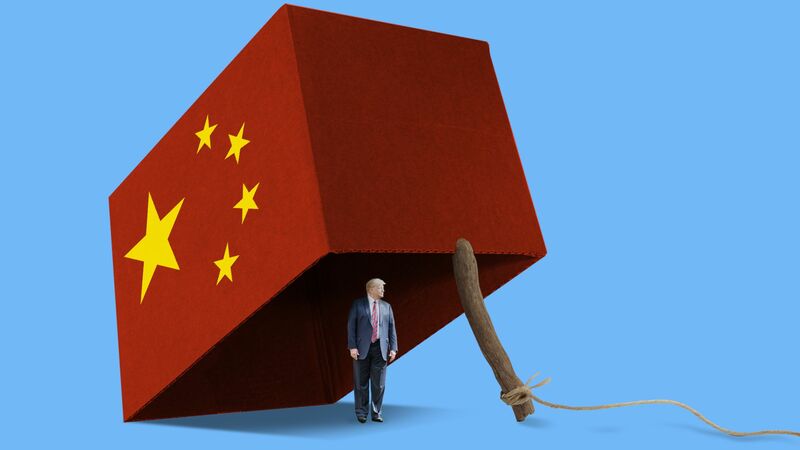 President Trump told CNBC's Joe Kernen he's "ready" to put tariffs on every Chinese good imported to the U.S. — worth $505 billion. "They’re not afraid. They deny all the allegations [of economic aggression]." The trade war could also be a real issue in House races in the Midwest, where the tariffs are starting to hit soybeans and dairy farmers. In North Dakota — one of the GOP's best Senate pickup opportunities this cycle — Rep. Kevin Cramer has issued carefully worded statements on Trump's tariffs, emphasizing the need to protect farmers while stopping short of criticizing the president. He also accused Democrats of stoking "hysteria" over the tariffs. A twist in the national debate: Democrats aren't universally opposed to the tariffs. Some have always been skeptical of free trade and support the tariffs, while others say they wish Trump had executed them better. "[T]rade restrictions aimed at preventing U.S. jobs from heading to Mexico and elsewhere have instead hampered a Mexican company’s multimillion-dollar effort to create jobs in the United States — an unintended consequence of Trump’s trade war that demonstrates the difficulty of attacking trading partners without hurting workers at home." Today is 18 months since inauguration, a wild and historic ride that has produced record White House turnover. 61% of President Trump’s senior-most aides have left the White House, the White House Transition Project’s Martha Joynt Kumar tells AP. That's much higher attrition at this point than the last five presidents, with Bill Clinton in second at 42%. Very, very few top aides are left who were there on Jan. 20, 2017, Jonathan Swan notes. Those who were: Jared Kushner, Kellyanne Conway, Stephen Miller, Don McGahn, Dan Scavino, Johnny DeStefano, Sarah Sanders, Raj Shah, Avi Berkowitz, Lindsay Walters and Madeleine Westerhout. Today is the last official day for Deputy Chief of Staff Joe Hagin and Legislative Affairs Director Marc Short. 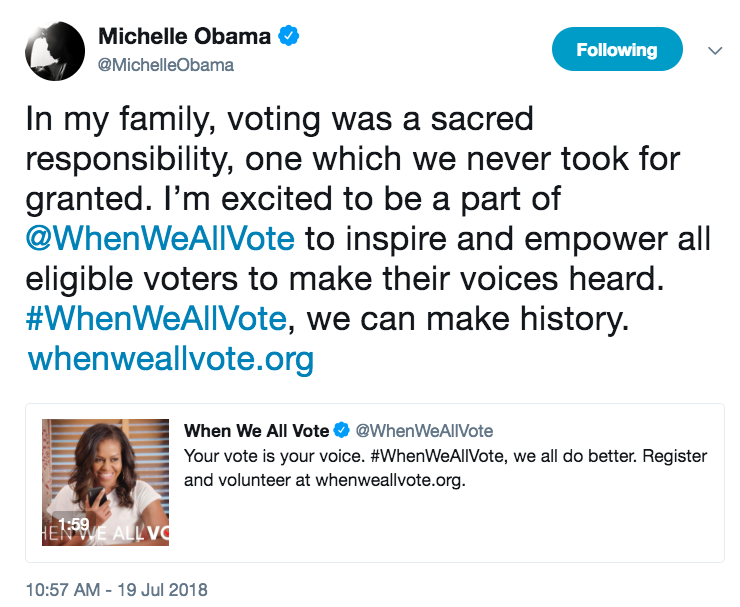 See a video of Mrs. Obama ("Call Lin-Manuel Miranda") in support of When We All Vote, a new, nonpartisan non-profit (co-chairs: Mrs. Obama, Tom Hanks, Lin-Manuel Miranda, Janelle Monáe, Chris Paul, Faith Hill and Tim McGraw). 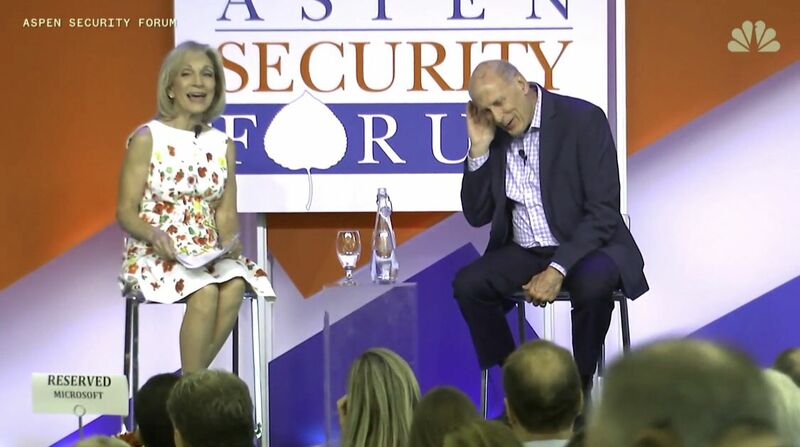 The frame above captures the moment Director of National Intelligence Dan Coats found out, when NBC News' Andrea Mitchell read him a White House tweet onstage, that Vladimir Putin has been invited to the White House this fall. "Say that again? ... OK. That's gonna be special," Coats replied. The former senator from Indiana said he thought it a mistake for Trump to meet alone with Putin, that he was dismayed by Trump’s statements at the Helsinki press conference, and that he still has no idea what they discussed in their one-on-one. This is the nation’s spy chief! How Trump prefers his intelligence briefings: "He likes it orally. He likes examples ... We use models. We use charts. We use a number of things." The clips didn't play well in the White House: a Trump Cabinet member, disagreeing with the president and drawing laughter from the crowd — in Aspen, no less. Jonathan Swan calls the interview "stunning ... a moment of true and startling independence." What we're hearing: Sources close to Trump tell Axios that they're already speculating about whether Trump ends up firing Coats. Per a source with knowledge of the matter, Trump has never had much affection for Coats. "A generation ago, Democrats represented much of the country’s manufacturing base. Now, it’s in GOP hands, a swing remaking both parties," the Wall Street Journal's Bob Davis and Dante Chinni write (subscription). What's new: "The Republican Party has become the party of blue-collar America." The data: "After the 1992 election, 15 of the 20 most manufacturing-intensive Congressional districts in America were represented by Democrats. Today, all 20 are held by Republicans." Why it matters: "The shift of manufacturing from a Democratic stronghold to a Republican one is a major force remaking the two parties. It helps explain Donald Trump’s political success, the rise of Republican protectionism and the nation’s polarized politics. It will help shape this year’s midterm elections." "[T]his means that Fortnite has now made more money than several of last year's highest worldwide-grossing blockbuster films, including 'Jumanji: Welcome to the Jungle,' Marvel Studios' 'Spider-Man: Homecoming,' and 'Wonder Woman'; and more than double the gross worldwide earnings of the latest Star Wars flick, 'Solo.'" "[T]he revenue comes entirely from in-game purchases, which ... offer no competitive advantage ... [A]n entirely optional $10 Battle Pass allows players to earn and collect in-game currency called V-bucks, which they can spend on costumes, accessories and dance moves for their playable character." "Three times this summer, government regulators have had to make major decisions regarding media ownership," CNN's Hadas Gold writes in "Rupert Murdoch's summer of good fortune." "Three times, the decision has gone the way that Murdoch and his company, 21st Century Fox, would have wanted." The latest, from L.A. Times' Meg James: "The high-stakes drama over who would capture much of ... Murdoch’s media empire came to a close after Comcast Corp. said it was dropping out of the hunt for 21st Century Fox’s entertainment assets." "The announcement ... hands a major victory to Walt Disney Co. Chief Executive Bob Iger." 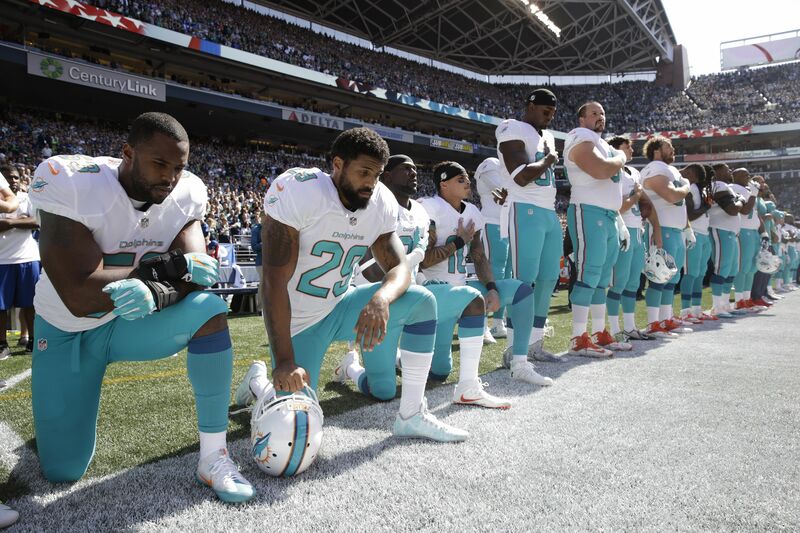 "Hours after [the AP] reported that Miami Dolphins players who protest on the field during the anthem could be suspended for up to four games, ... the league and the players union issued a joint statement ... saying the two sides are talking things out," per AP Pro Football Writer Rob Maadi. What's new: "None of the team policies had been made public until the AP obtained a copy of Miami’s nine-page discipline document. It included a one-sentence section on 'Proper Anthem Conduct' [that] classifies anthem protests under a large list of 'conduct detrimental to the club.'" Why it matters: "The issue has dominated headlines over the past two seasons, caused division and alienated some fans." Joint statement: "The NFL and NFLPA ... have been working on a resolution to the anthem issue. In order to allow this constructive dialogue to continue, we have come to a standstill agreement on the NFLPA’s grievance and on the NFL’s anthem policy. No new rules relating to the anthem will be issued or enforced for the next several weeks while these confidential discussions are ongoing." "The Washington Post teamed up with two research groups to study the smart speakers’ accent imbalance, testing thousands of voice commands dictated by more than 100 people across nearly 20 cities." "People with nonnative accents ... faced the biggest setbacks. In one study that compared what Alexa thought it heard versus what the test group actually said, the system showed that speech from that group showed about 30 percent more inaccuracies." "People who spoke Spanish as a first language ... were understood 6 percent less often than people who grew up around California or Washington, where the tech giants are based." "People with Southern accents ... were 3 percent less likely to get accurate responses from a Google Home device than those with Western accents." 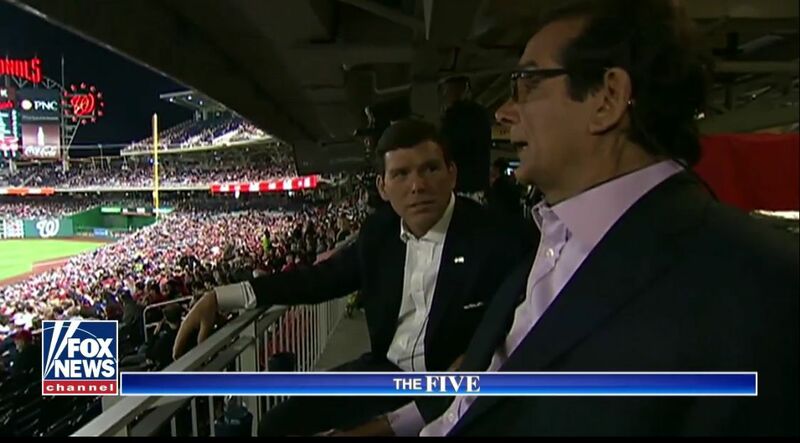 Fox News' Juan Williams went behind-the-scenes at Nationals Park during this week's All-Star game, and took viewers where the late conservative columnist Charles Krauthammer used to sit. 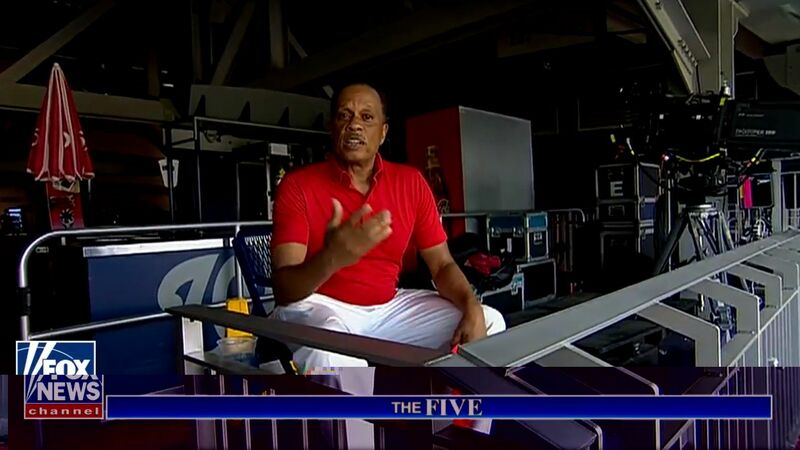 Former Washington Nationals Manager Davey Johnson spoke about his time with Charles. Thanks for starting your Friday with us. Updates all weekend on Axios.com.